CARLSBAD — As the New Year approaches a new crop of volunteers will be needed for the city. Twenty-five residents will be selected for an eight-week training program to be certified as part of the Community Emergency Response Team (CERT). 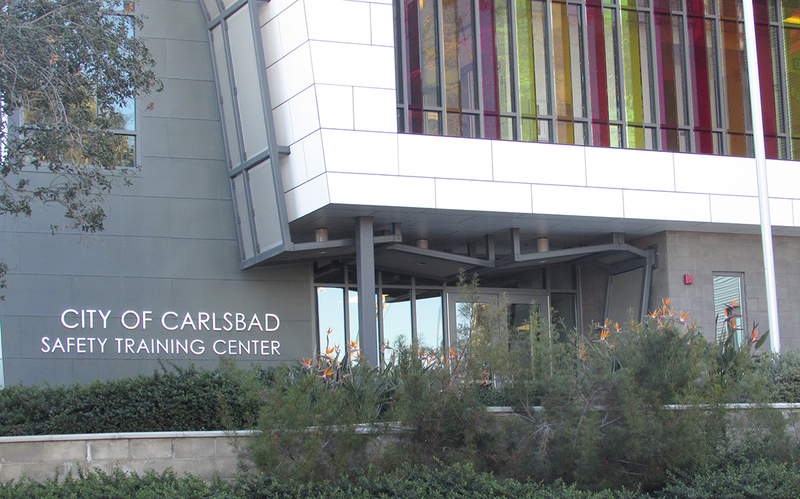 According to Emergency Preparedness Manager David Harrison, a mandatory informational meeting and orientation is taking place from 6:30 to 8:30 p.m. Jan. 9 at the Carlsbad Safety Training Center, 5750 Orion St. The academy begins Jan. 30. “We often get more individuals than we can accommodate,” Harrison said. Residents must complete an online application and then the city will select 25 individuals to join the nationally recognized program. In addition, volunteers must be Carlsbad residents, 18 or older and complete a background check and medical evaluation, which is signed by a doctor. “CERT members are trained in emergency preparedness and disaster response,” Harrison said. The program is modeled after the national CERT program created through the Federal Emergency Management Agency’s (FEMA) Citizens Core Program. Carlsbad’s CERT program has a budget of about $10,000 and is supplemented by grants, including a San Diego Gas & Electric Safer grant, Harrison said. He said volunteers receive training in numerous fields, with instruction coming from a combination of class and fieldwork. Harrison, firefighters, critical incident management specialists and crisis psychologists conduct the training, with a mix of in-house instructors and outside professionals. After completing the academy, bi-monthly meetings are held for refresher training for additional skills such as computer software, Harrison said. The three main disciplines for volunteers are first aid, basic fire suppression and light search and rescue, Harrison said. In addition, CERT members will also be introduced to disaster psychology, sheltering and in the city’s emergency operations center (EOC). Fieldwork is held at the Safety Training Center using some of the tools wielded by the fire department, although Harrison noted CERT members are not on the same level as professional firefighters. Harrison said CERT volunteers played an important role in the response to the May 2014 Poinsettia Fire. They performed a variety of support activities in the city’s EOC and at temporary evacuation points and shelters including at the Calavera Community Center. “Carlsbad CERT independently … they were the leaders in establishing the temporary evacuation points for the residents that evacuated at that southwest quadrant part of the city,” Harrison added. Carlsbad’s CERT program was one of 15 nationwide to garner national recognition this year as a FEMA individual community preparedness winner, he said. Interested residents must register online at VolunteerinCarlsbad.net and choose Disaster Preparedness and Response — city of Carlsbad or call (760) 434-2929.